My Kiwi fly-fishing guide Grant Petherick, tugged on the brim of his New Zealand stockman’s hat, cupped his hands around his polarized sunglasses and starred intently into the dazzle of a North Island mid-summer day. 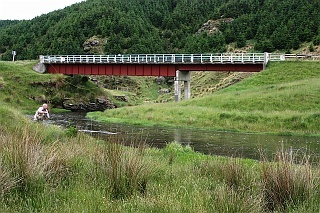 Before us the Tukituki River – low, docile, clear as vodka – gurgled over gray gravel towards its rendezvous with the Pacific Ocean at Hawkes Bay. If you let your mind ramble these parched yellow hills could easily be the buttes and bluffs of the Waterton and Oldman rivers. Heck, we even encountered a wild turkey on the drive in along Middle Road. Other the fact it was December not August, there are ripe yellow fruit hanging from my cousin Glenys’ lemon tree and the downtown merchants are trying to whip up interest in Christmas shopping while most New Zealanders are planning their summer vacations. Finally Grant snaps out of his trance and points to an imperceptible shadow where the Tukituki tumbles down a rapids and drops into a blue-water pool. I see only retina-burning reflection. “Cast there,” he instructs. I peel some line off the reel then lob a bushy Parachute Adams with a depth-charged Pheasant Tail nymph tied to the hook bend as a dropper at where I think Petherick is pointing. Then I see it. At least I think I do. A slab of quick-silver that forms, reforms and just as quickly disappears with the mood swings of the current. The Adams bounces down the white water and into the pool. Where it twitches once and disappears. “Set the hook,” the guide whoops. I’m already ahead of him. I’m into the backing before I get it under control. 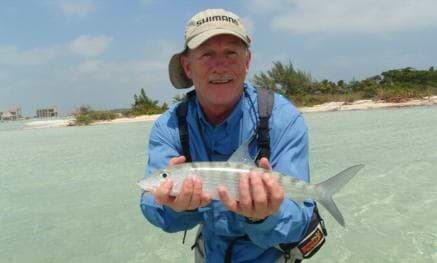 When the battle is won a 21-inch silver bullet with a faint splash of crimson down its flank poses for a picture. Then Grant pops the nymph out of the trout’s lower jaw and it’s gone. 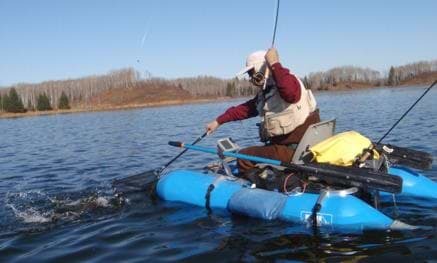 That’s trout hunting, Down Under-style, where you sometimes spend more time with the line in your hand than on the water and success often comes down to one shot at a big fish. 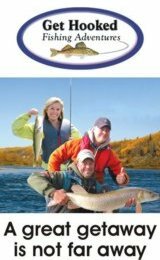 The closest any other angling comes to the way New Zealanders pursue their trout is flats fishing for bonefish and permit where, again, sight fishing is where it’s at and the educated eyes of a professional guide are pretty much essential. Especially if you are attempting to get up to speed in unfamiliar territory in the short time that a mid-winter break allows. 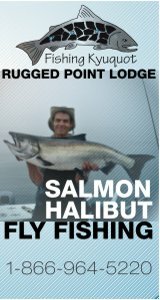 Still New Zealand is on many fly anglers’ must-do-before-I-die list, not only for the amazing size, condition and vigour of the fish but because you are doing it in a country that is totally unfamiliar and at a time of year when most flyrodders have hung up their waders and are filling in the gaps tying flies or pouring over topo-maps in anticipation of next summer. 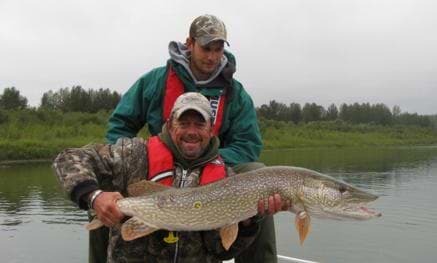 Here are some helpful hints to help smooth your transition to New Zealand trout fishing. The Kiwi rainbow and brown trout may look the same but the way you angle for it is totally different. Blind casting is frowned on as fruitless flailing. 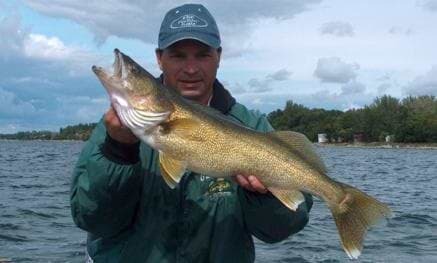 Unless you see a fish you don’t fish. You hunt, starring into dancing riffles and choppy pools for the semblance of a shadow. 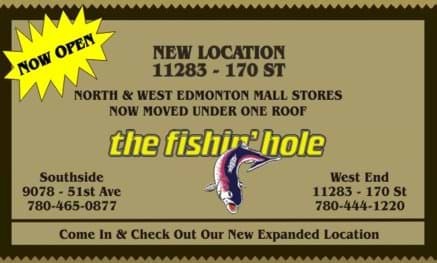 Believe me, after a while you actually start to get the hang of it and will begin seeing fish where previously there were none. Hiring a guide or having someone along with local knowledge will increase your success rate exponentially. Although for all rules there is an exception. 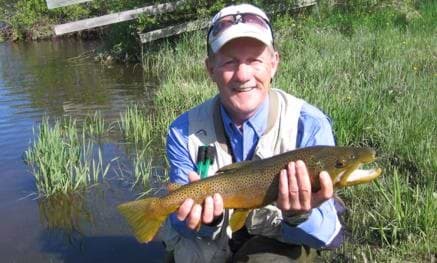 I had a rewarding brown-trout day alone in the high hills above Roxburgh on the South Island on a little black-water river called the Teviot. If you ignored the speargrass tussocks and New Zealand flax plants – and replaced it with white spruce and aspens – I could have been a muskeg creek somewhere in the Swan Hills. 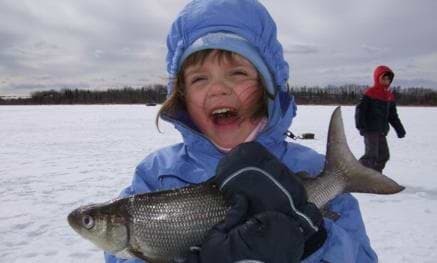 The pan-sized brownies willingly ate my swinging bead-head nymphs the same was Alberta grayling do. If you have the cash flow, a heli-angling lift into remote rivers of the high country should also be considered. There are helicopter contractors almost everywhere, all willing to do business. A short hop into the mountains sure beats a long, gut-busting hike. 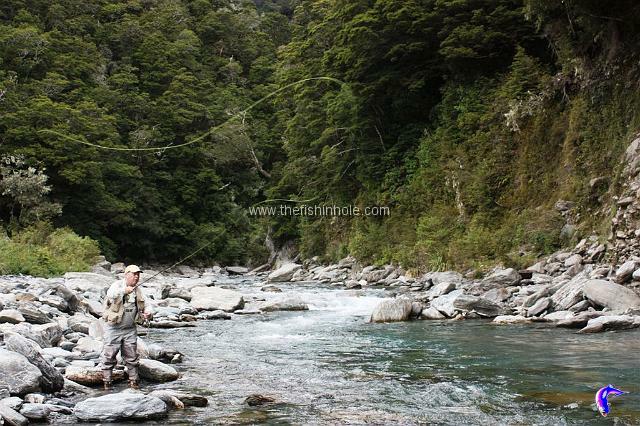 The Kiwi angling situation if further frustrated by a lack of heavy hatches that bring trout to the surface. Nymphing – usually suspending under a larger, high-floating dryfly like a Wulff pattern- tends to be the rig of choice. 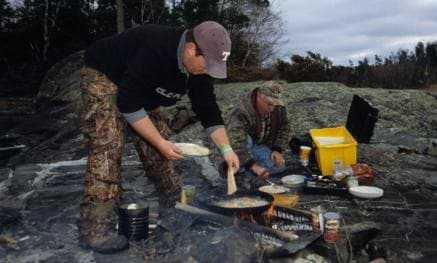 That doesn’t mean New Zealand trout don’t rise. I spent a frustrating evening chasing phantom browns on the Moeraki River on the South Island’s wild west coast that were sipping a sporadic hatch of slate-winged mayflies. 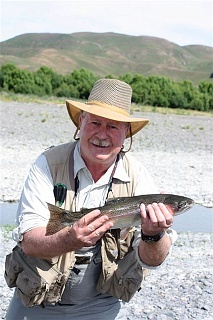 But more Kiwi trout are probably caught on a simple Pheasant Tail nymph than all other flies combined. There are exceptions. 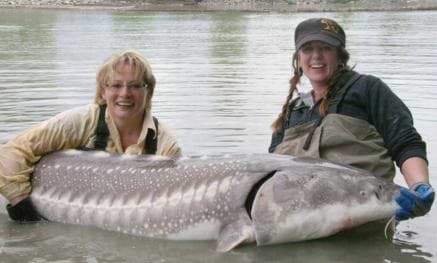 New Zealand anglers are blessed every few years with two incredible “hatches”. The first is a fall of cicadas – beetle-like critters as long as your thumb – that buzz in the streambank willows and are blown into the rivers by the thousands. The second is a plague of mice that occurs every few years when the beech trees “mast” or flower and produce a blizzard of seeds. All this extra available food causes the rodent population to explode and inevitably begin getting into the rivers. Which is when the fun begins. 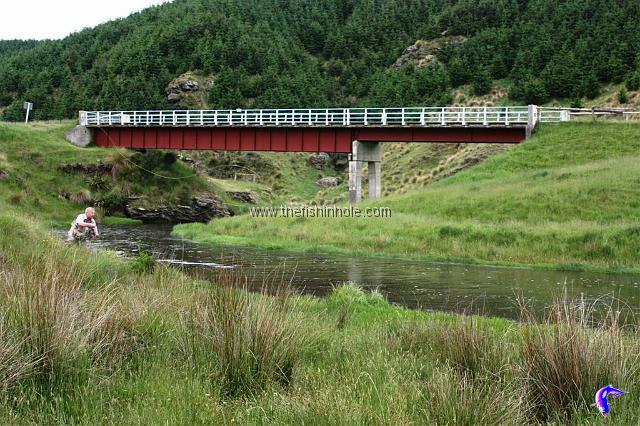 Rivers, streams and even some pretty modest creeks in New Zealand tend to have few fish. But those they have can be super-sized. So leave your little 3-weight fairy wand at home and get ready to gear up. 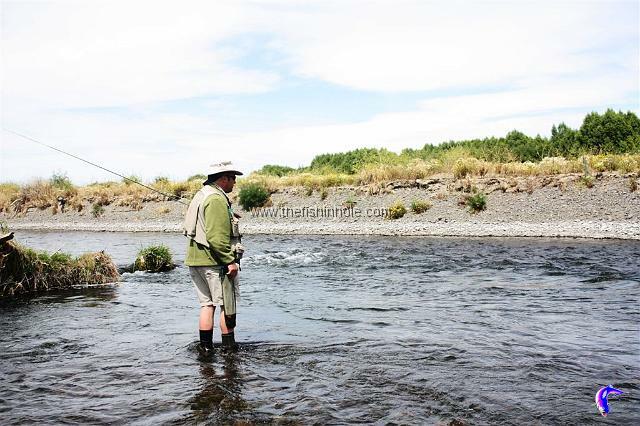 A 5-weight, or better still, a 6-weight rod has the backbone necessary to hold and play out the aggressive Kiwi trout but it also comes in handy for punching a flyline into a stiff New Zealand wind. 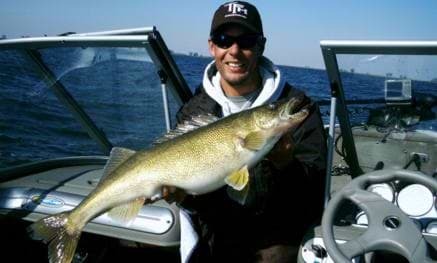 Waders and wading boots are also going to be an issue for the travelling North American angler. 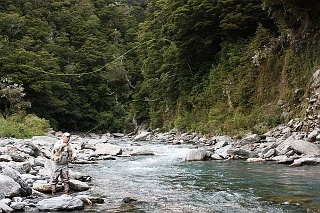 New Zealand has a strict biosecurity policy that not only requires all angling equipment coming into the country to be dry and dirt-free, the country has an outright ban on felt-soled wading boots because of the recent unwanted introduction of didymo – an invasive algae which is native to most Alberta Eastern Slopes trout rivers. 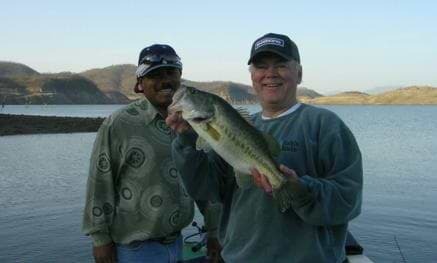 Save yourself a lot of hassle at customs and invest in new wading gear for the trip. Those old waders are probably getting a little leaky anyway. New Zealand is blessed with an amazing number of rivers. Big brawling freestones that blow-out when the spring run-off comes down from the snow-capped mountains, pristine little rivers in high country valleys and placid spring creeks. Like anywhere, some are good, some so-so and others not worth the time. Do your pre-planning and leg work before you get on the aircraft. 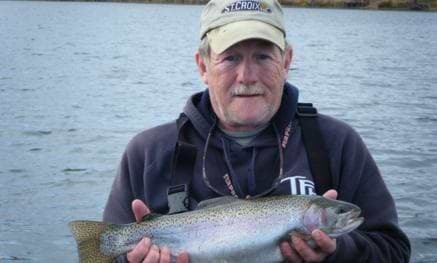 There are several books dedicated to New Zealand trout angling plus some useful websites where things like fly selection, river reports and conditions are discussed. 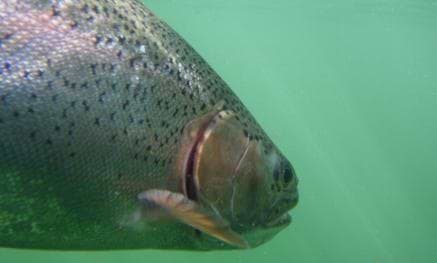 Adding to the complexity is the migratory nature of some New Zealand trout – especially on the South Island’s west coast. 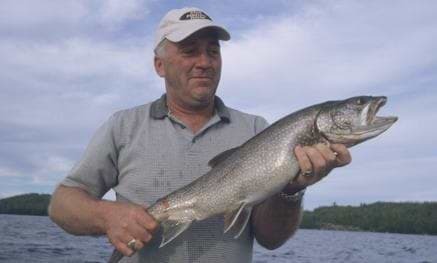 Even though a river may look mint, trout are not necessarily present at all times. Again, here’s where local knowledge becomes a serious asset. As it did on the Turnbull River near Haast on the South Island when a house painter from Arrowtown called Murray Ritchie hopped a paddock fence and came to my rescue. We spent the rest of the afternoon trading shots at big cruising browns – with Murray who was a Turnbull regular - doing most of the spotting. 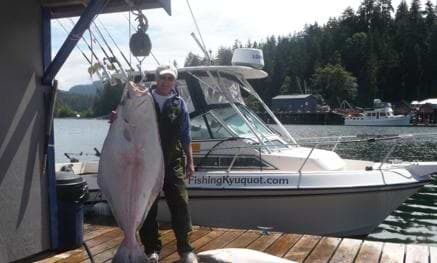 We covered a half dozen big fish. 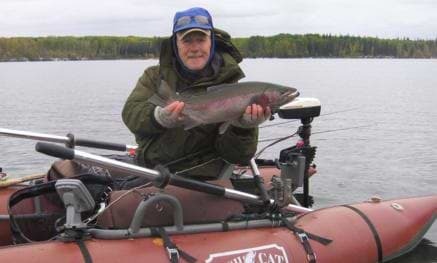 But other than one brief hook-up when Murray laid a Bead Head Hare’s Ear over an active fish in a seam below a rapids, the brown trout won. 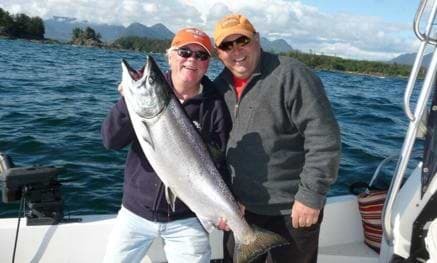 But a few days earlier Ritchie had beached a 10-pounder from the same run after observing it tight to the bank. Because in New Zealand you have to hunt them before you hook them.